This is a progressive post so the newest entry is a scroll down. Thumbnails below. 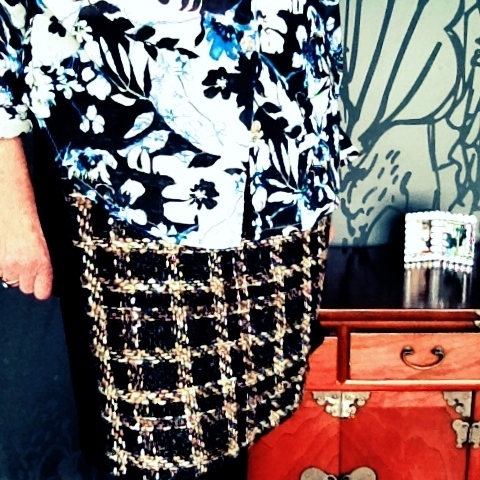 I made this skirt fourteen years ago! My word, quality never goes out of style blah blah. Self made, its a basic shaped tube with lining. 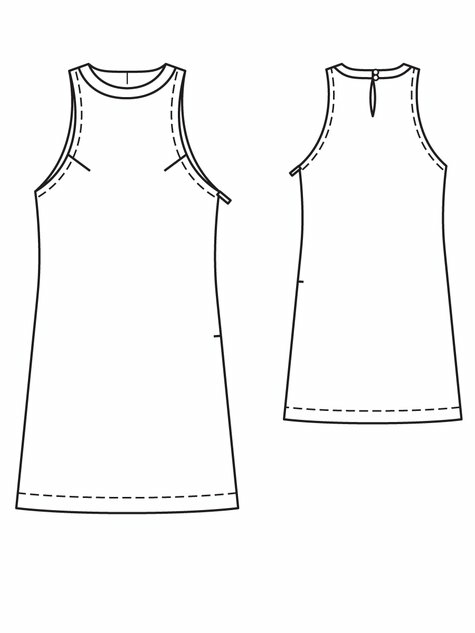 I love the fabric, a loose weave knit, but I did French seam & top-stitch it which I wouldn't do again, ever, because of the bulk of material. I made this for a special occasion all them years ago and a powder blue top to go with it. Alas the top didnt last as long. I love this skirt. Good start to the week, eh. 16th May & another skirt made over a decade ago. I know what I like, see. A self drafted & made satin skirt. Satin, mmmmm. 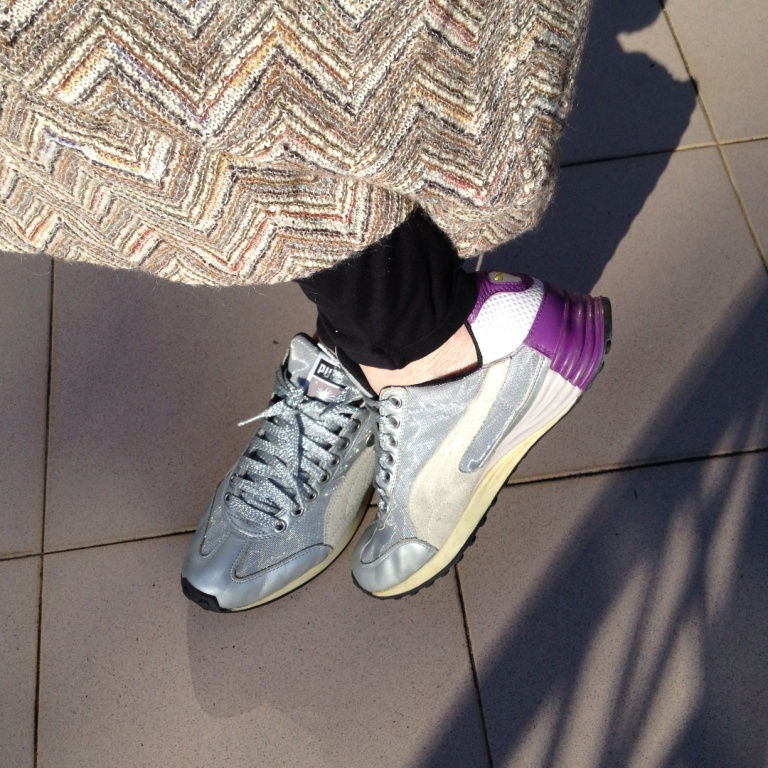 But the thing I'm really diggin' on is these silver & purple sneakers; comfortability, yo. Will wear every day from now on. You watch. May 17th, below. 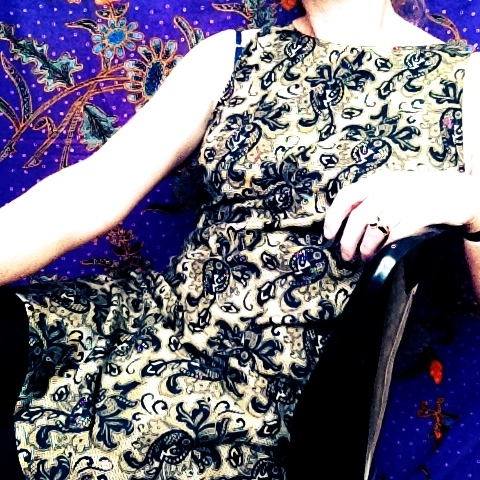 Gabby dress shortened to a top, in a cool cotton voile retro print. Trans-seasonal dressing: why God invented cardigans. Ok so I'm wearing these pants for the third time. I think I've never worn them so frequently as I have done in this me-made month. This tells me I should be making more pants. I don't have a wide selection of pants, but then, who does? The pants fairy? So I try to make up for the lack of sartorial diversity in today's photo opportunity by taking lots and lots of photos of the same pants I have already taken lots of photos of. You're welcome. Don't I look nice? Thank you. I made his ears matchy matchy. Leopard print. I'm so jaunty. If you find yourself, my dear, with a burning desire to make one of these t-shirts its extremely straightforward to do so. But that didn't stop me from writing a 'tutorial' about it. Find it here. Yowser, May 20th and I'm wearing a favorite dress. I found this fabric in the quilting section of a very large craft store and I love it. Its like a lace batik and simple sheath dress was definitely the way to go. 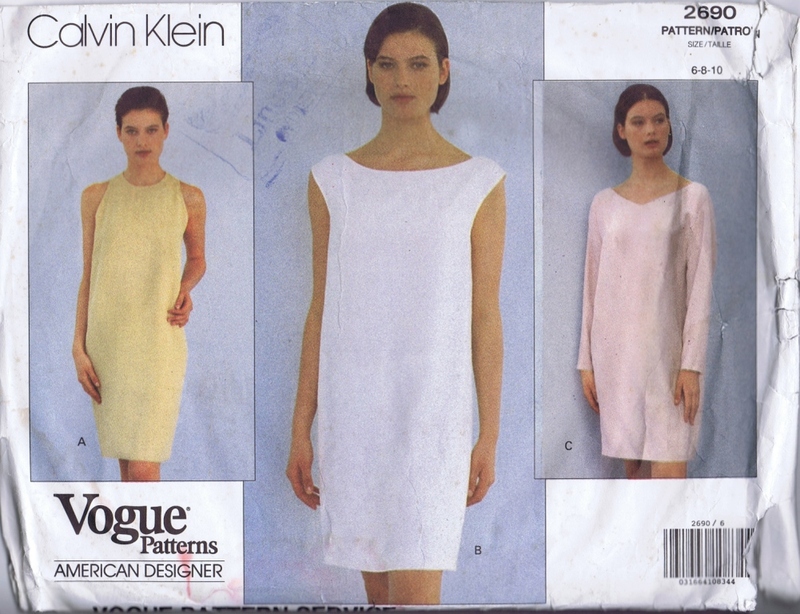 This is a customised/self-drafted mix of Burda 04/2013 #109A and a vintage Vogue pattern, Calvin Klein 2690. 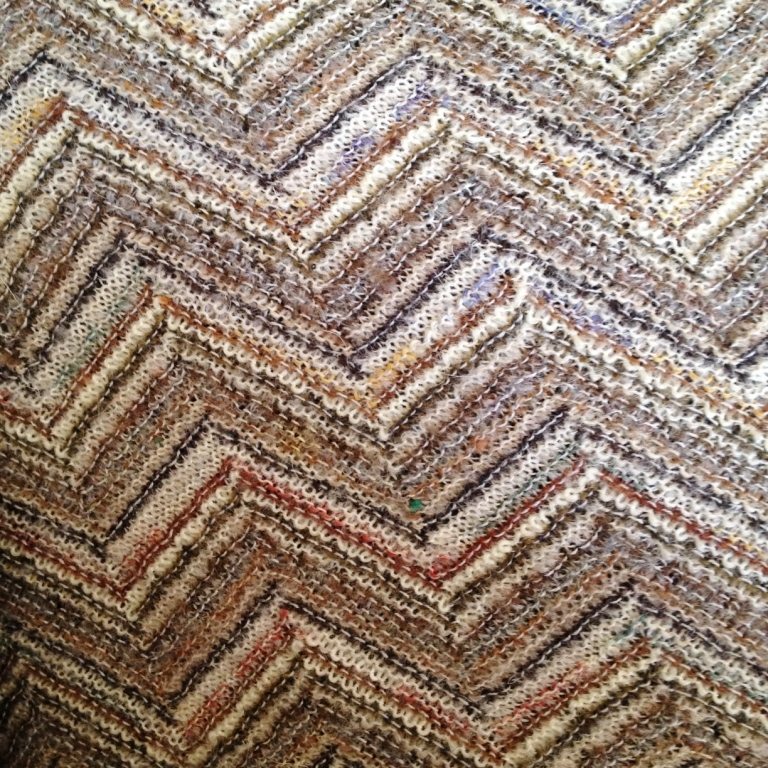 I note that I bought this pattern when we were neither of us, 'vintage'. Vintage, pffft. I further note that my choices haven't changed much since then; one does know what one likes. Well either that or I'm fooling myself. I was like, so very young then. Maybe I'm dressed as lamb but as long as I don't know that, we're all cool. We're all cool, yah! What with getting dressed each day (complex, highly skilled labour), I've let stuff slide in the studio and as I have some stuff to do, developing some work to propose for a new commission...it's just as well this me-made-month bites the dust soon. But its been so fun! Its been great! I've come across some fantastic women who are doing some great making of great stuff & I love it! Truly, I will mourn the passing of MMMay, but we're not done yet, tomorrow is another day. Yay! Dress ups! Fabulous idea Zoe. Look below, last one for week three. So what we have here is a double me-made, we have one Melissa shirt and one Ursula skirt and from one company, my fav, Style Arc. I've just decided that they are my favorite, I seem to make a lot of their patterns. 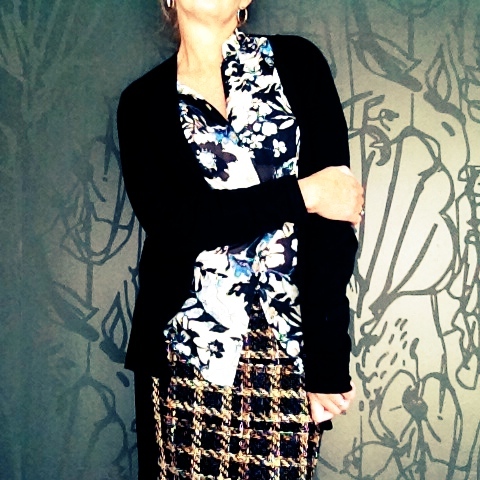 With the shirt, I made a grandpa collar & omitted cuffs, as the fabric (an Etro fabric, I do believe. Etro!) is a very fine cotton voile & simplicity seemed most appropriate. And it was less work. And thats it for week three, thank you for listening.